Diablo III fans who never got to read the Diablo: The Sin War trilogy by Richard A. Knaak still have the opportunity to immerse deeply into the groundwork for the Diablo III storyline which is planned to span into expansions sets. Medievaldragon: How much of the book is creation of yours, and how involved is Chris Metzen behind the canon storyline of Diablo: The Sin War Trilogy? Do you think the ramifications of this book impact in the storyline of Diablo 3 the game? Knaak: This is a pure collaboration between myself and Chris Metzen/Blizzard. All that is written is passed by him and the others there. This will be canon and has adjusted earlier info. The ramifications here will be used for any future project … and I ain’t writing for a dead game. I am not writing for a dead world … but a world with dead. ‘nuff said! That said, there are many elements exclusive to Diablo: The Sin War that will impact the storyline of Diablo III. Blizzard Entertainment revealed few details in the BlizzCon Lore Panel, but they don’t want to spoil the story. Kevin Martens confirmed we’ll learn things about Angels, which as you will find out were named in The Sin War book. Angel Inarius (creator of Sanctuary), Rathma, Lilith (daughter of Mephisto), and more. All this stuff about the Nephalem in the Diablo III Beta Test came straight from the book. 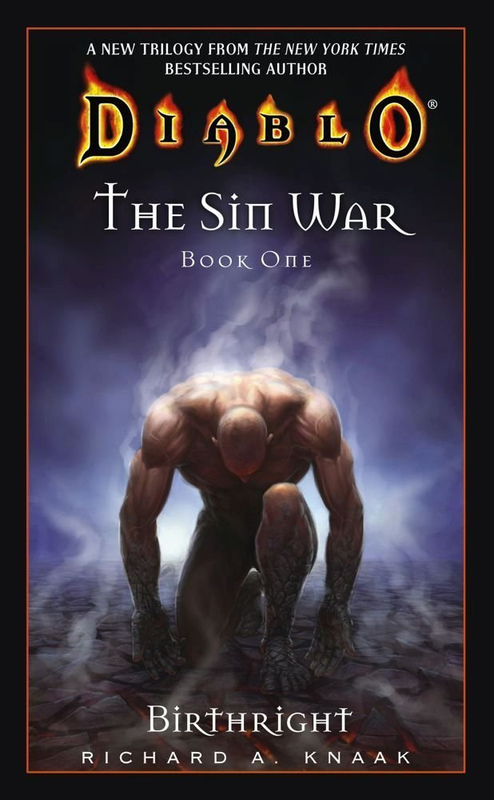 Every Diablo III fan really needs to get ahold of the Diablo: The Sin War Box Set — available on Kindle. Don’t have a Kindle device? No sweat. Download the free Kindle PC app to read this book on your PC / MAC or your favorite mobile device (iOS, Android, Blackberry, WP7). 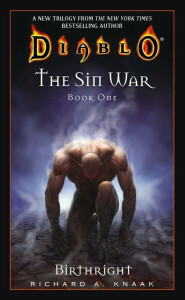 Diablo: The Sin War Box Set eBook will be available on November 22, 2011. Pre-order now and get it auto-delivered to your Kindle, or to your PC via the Kindle Cloud Reader. Diablo: The Sin War Box Set contains the trilogy books: Birthright, Scales of the Serpent and The Veiled Prophet.